The development team at Dealcorp are pleased to share this image take onsite. Please read a short bio on each of the contractors who look forward to delivering Eclipse Townhouses & Heritage Apartments, and Lunar Townhouses and Apartments in 2020. 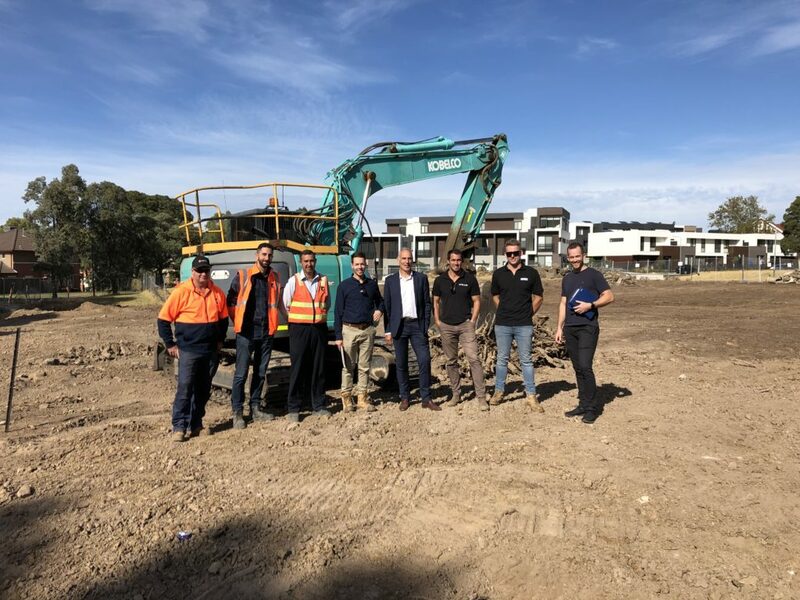 Fortunato Group is a leading Melbourne civil construction, earthmoving and contracting company with a proud history, experienced staff and a wide inventory of modern plant and equipment. Founded more than 50 years ago by John Fortunato the company has delivered class leading performance in civil contracting, earthmoving, public and private works, site and land development, sporting facility construction, road infrastructure. With over 12 years’ experience, Steller are an experienced and dynamic multi-residential and commercial construction company. Construction is now underway with the first stage of works including civil and infrastructure works. Steller offer an experienced team and understand how important purchaser’s investment return.